Take a medicine ball that’s an appropriate weight for you. 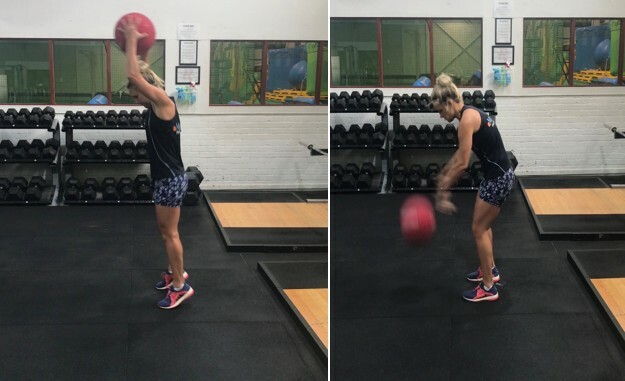 Raise the medicine ball overhead then slam in onto the ground as hard as you can. Catch the medicine ball on its way back up and that counts as one rep. Repeat the movement for as many times that you can in one minute. Be sure to have your posture upright, knees slightly bent, feet shoulder width apart, engage your abdominals and do not hyperextend your back when you perform the exercise. This is an awesome exercise if you want to increase your power. Attach a band to a stable object like a bar, machine etc. Use a lighter weight to start with then increase the weight thereafter. 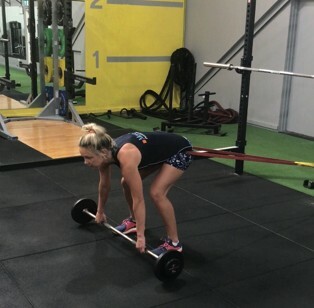 Start by wrapping the band over your hips so that the band is looped over your hips and pulling you towards where it is anchored. 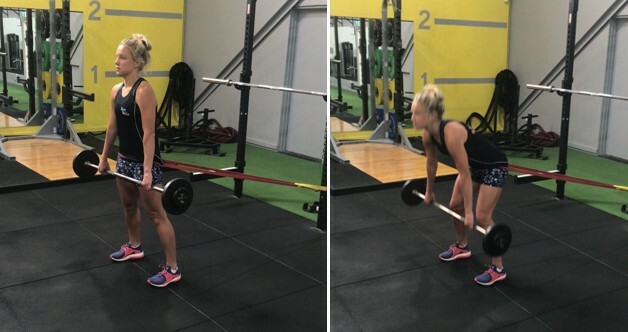 Take the barbell and start by lowering the weight down by keeping your knees slightly bent and as you feel your hamstrings fire you stand up and push your hips through. Hold this then repeat the exercise. Use a dumbell for this exercise. Hold the dumbell in line with your chest and elbows nice and high the entire time. 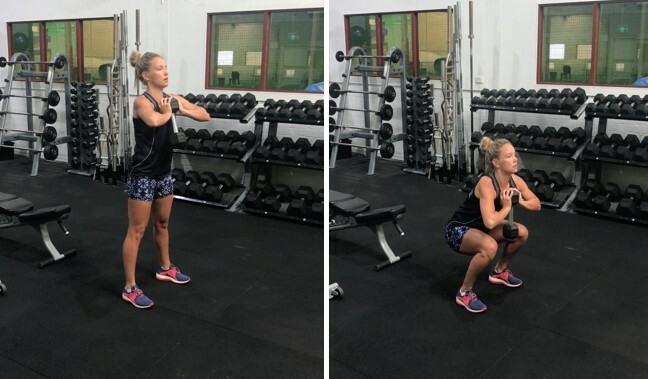 When you’re ready, squat down, keeping your chest upright and pushing your glutes backward, push the weight through your heels. Start with your legs slightly wider than shoulder width apart and arms straight our in front of you for balance. Jump to the right landing just on your right leg and touching your right foot with your left hand. Then jump to to the left and land just on the left foot and touching your left foot with your right hand. Stand with your feet shoulder width apart and your knees slightly bent like in a squat position. Place a towel, water-bottle or barbell on the floor. When ready stand sideways to the object that you placed down when ready jump laterally over it. As soon as you land you need to jump back to the side you started from.